In this series of features we invite 'Nindies' to share thoughts on their experiences in 2016. In this entry Arturo Chaves Maza of Red Column writes about a year in which his studio released its debut game on the Wii U eShop - 3Souls. If you haven't heard about Red Column before, I don't blame you. 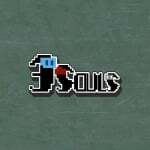 I founded this company on my own back in November 2014 with an announcement for a new indie game called 3Souls, which, to be honest, started off far different than what it later became. In a good way. Planning a project such as this one on my own was certainly a challenge, so 2015 became a year of postponing, fund­raising and reworking the whole project. Then, after sorting out all the problems that prevented me from focusing all my attention on 3Souls, a year later in December 2015, I finally got to share the intro and concept of the game with the world…2016 began, and with it, the craziest year of my life. The year when Red Column took flight and really started to become something solid; the year when my personal dream came true. Sharing a project like 3Souls meant sharing my own personal project. I have always thought that videogames are a really powerful tool for connecting with people. I enjoy so much playing games like Journey, Thomas Was Alone and Affordable Space Adventures, where music, graphics, story and gameplay come together to create something really unique, making an experience that the player hasn't lived before. All of these ingredients need to come together in the perfect concoction to create that experience, because you can't surf on the sands without the notes of Austin Wintory; you can't make your rectangle jump without simultaneously hearing the story told by Daniel Wallace; and you can't discover a new planet with the latest Small Craft(™) without your Wii U GamePad…all the aspects of these games are vital if you want to have the same experience that their creators intended for you. Each part is fundamental in creating the experience that they want to share with you, the player, and this is exactly what I, and now everyone involved in Red Column, would like to see in a videogame. If 2015 was all about learning the basics of every aspect that goes into the creation of a videogame by myself -­­ composing, drawing, programming and writing ­­- the beginning of 2016 was the year for finding those people with a special talent in all of these departments, who could help me transform all the ideas in my head into a reality: musicians, artists, writers. People who share my vision and values. It was never my intention to become the 'best' in each of these departments, but rather a director, who is able to bring together the best of what every team member has to offer, so that we can create something unique that everyone can enjoy working on. Was this the right way to do it? I have no idea. If you didn't know already, I had never created videogames before. But ever since I discovered them, I have never stopped thinking: how would I go about it if I ever have the chance to create one? So this is the way I wanted it: where every member enjoys making their contribution and shares the same goals. Where each of them can leave their own mark. So in the end, this project is not an "Arturo Chaves Maza" video game, but a Red Column one. If this was the right way, again, no idea. But it certainly feels good. 3Souls is not just me anymore, but the soul of every song, every word, every video, every drawing and every voice of the amazing people that I found this year who helped me make it real. 3Souls was taking off, but as I mentioned, more people were joining the project. Here, I was faced with one of the most difficult decisions: whether or not to use an episodic format? I went for it. The right decision? Hard to say. My first vision was of a standalone game, but if I wanted to include every team member that was now involved, I needed to separate each episode in order to launch within a reasonable time frame. The game is easy to separate, because it is made up of 3 different stories and that way, after releasing the first episode, we can keep working on the other two, while word of mouth helps us in a good way. But launching one episode ended up taking much longer than I had planned. This was because it is really important for me to listen to criticism: good and bad. With this, you can become approachable to more people. This was the task in the months after the launch, and the result was the first 'patch'. This allowed me to correct mistakes and to include more options to let everyone enjoy the game (and in this process even more people joined the team, including translators for French and Italian audiences). This was a big improvement, but took time. Before the patch, I have to say that I was really happy with the reception of the game in general. It was a fairly mixed reception though; I found people that really love it and understand what it was that we were trying to transmit, and others whose cup of tea it really was not. In the end, however, it was extremely rewarding to reach audiences who enjoyed it. But if reviews were mixed, it meant that there was some more work to do. I feel with the patch that we addressed some of the concerns of those who didn't enjoy the game. But it is conceivable that after the first reviews we missed some people that may have by now lost interest. So that's when I decided to create a small demo, for those who are still sitting on the fence, including as well the first sales and promotions. But this also took more time which I hadn't factored into consideration before. And here we are now. As you see, sadly with another delay, but on the other hand, the priority was always to satisfy the players. This part of the year, there was a big decision to make… Nintendo Switch is coming in March, so what should we do? Let's go back to the basic idea and not lose focus. The idea behind 3Souls is based around the Wii U GamePad. I do still believe that the GamePad is a great tool. I'm going to miss a lot the the asymmetrical gameplay behind it, which doesn't seem to be coming on the next Nintendo console. We could modify the game to make it possible on Switch, and that could work very well. But that would not be 3Souls. It would be "3Souls with a Switch"…which is not the experience that we wanted to share (it would be an interesting one, but not the same). We want to make sure that everyone that supports us, hears, feels, reads and plays the story as we wanted to tell it, and that is only possible on the Wii U - but its flame is fading out and many players seem to be abandoning the ship in favour of the future Switch. So this is when we decided, if we want to make sure that people enjoy the experience that we want to transmit, then we need to forget about the episodic format, and let the people play the other two episodes for free next year, making 3Souls a standalone game again. We are really happy with the response from the players regarding this change. At the moment we can't tell you about any future projects from Red Column after 3Souls in 2017, but we can assure you that 2017 will see the launch of Episode 2: Nophes and Episode 3: Nidemon for 3Souls on Wii U, and hopefully you will still have one on hand in order to enjoy them! Happy Holidays everyone and thank you for this amazing year! I will keep buying Wii U games that are worth buying after the Switch is released, because a good game is a good game regardless of the system, and because developers who got caught developing for a system that died before they expected it to deserve some consideration. I hope the promise of free updates gives this developer enough sales to warrant the investment. I really hope releasing the game at the very end of the Wii U's lifespan pays off for them, largely because of the fact that since the Switch's architecture is so different from Wii U this will essentially be the only Nintendo system you can play it on unless they go through the hassle of porting it over. It's definitely a gamble at this point though, and I hope they win big! I really love reading these Nindie pieces. I feel like supporting WiiU is suicide at this point, even Nintendo won't do it. So that the developer is doing it is kind of crazy intriguing. I just went and read the review and comments about episode 1. I had tried the demo, and thought it was too slow to play co-op, but I think I'll go buy it anyway, just to support their crazy support of the WiiU.